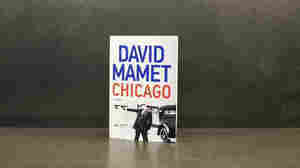 David Mamet NPR coverage of David Mamet: News, author interviews, critics' picks and more. February 24, 2018  The playwright and screenwriter's first novel in 20 years is set in the Windy City of the 1920s, where the mob rules, the market for sin is thriving and the dialogue is as distinctive as ever. February 12, 2007  Pulitzer Prize-winning playwright and Hollywood screenwriter David Mamet talks about his new book, Bambi vs. Godzilla: On the Nature, Purpose, and Practice of the Movie Business, and offers a glimpse inside the sound stage.